My brother Billy is an extraordinary man. For years I have watched as he’s bumped up against and then pushed through the mental challenges that he was given at birth … you see Billy is developmentally challenged. Growing up we had other words for people who are now referred to as “special needs” and because of many of those words I was in my fair share of fights with ignorant kids and unenlightened people. 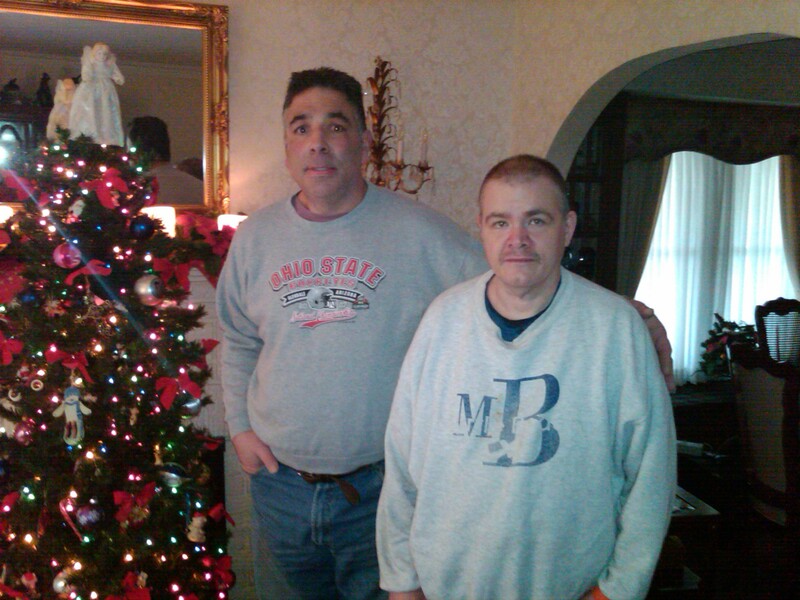 A number of years ago Billy befriended Timmy, another “special needs” man who lives down the street. Timmy is autistic … think Dustin Hoffman in his role as the Rain Man. If you give him a date and a year he will blurt out, “Joe Contrera, October 27, 1961 that was a Friday” and Timmy will be right. Timmy didn’t have any immediate family. Over the years he lost all of them, first his mom, then his father and finally his older brother who Joe passed away at a very early age leaving Timmy an orphan under the guardianship of his uncle. It’s stuff like this that happens in life that just doesn’t make sense to me. Why does someone who needs their family to survive, lose their family, while others who don’t even appreciate their family still have them? Almost 5 years have passed since that day and over time Billy and Timmy have become best friends. They watch reruns of old television shows like Hogan’s Heroes and Mayberry RFD together (Billy owns the complete DVD collections). Billy makes sure that Timmy gets to local carnivals or out to dinner. Recently they went to a Cleveland Indians baseball game together with my nephew Kevin. A few weeks ago Billy was in the hospital. One of the first people to visit him was Timmy. He brought him a get well card with 3 dollars in it. Who would’ve thought that these two gifted men would become such good friends? Sometimes we get so inundated with life that we step over the things that are important: caring for others, spending time with a friend, or just being there for someone in their time of need. So here’s my question to you: Is there someone you know going through a tough time that could probably use a friend right now? If so, walk away from your computer right now and pick up the phone and call them … go spend some quality time together … you never know it might be the brightest spot in their day or week. I’ve learned a lot of things from my brother Billy … one of those lessons is that no matter how impossible a situation might look … everything happens for a reason … who would’ve thought? PreviousPrevious post:Getting what you need … ?NextNext post:Straight and Narrow?